If your company has mind-boggling problems, a Stanford professor advocates using an approach that uses building blocks. Yes, he recommends solving problems with a process reminiscent of building blocks used by kids. Sound incredible? As many parents know, their children enjoy playing building blocks. The professor, Jonathan Bendor, Ph.D., is a political economist at the Stanford University Graduate School of Business. Professor Bendor examined the 20th century work of organizational behavior theorist Charles Lindblom at Yale University. In the late 1950s, Dr. Lindblom disagreed with the synoptic method for problem-solving. The synoptic method involves developing a strategic plan with a structure of steps. But Dr. Lindblom argued the method didn’t work for complex situations. In “The Science of Muddling Through,” he advocated using “disjointed incrementalism,” via heuristics encouraged the discovery of solutions via small incremental changes. His theories became popular among scholars. So Dr. Bendor decided to test the feasibility of Dr. Lindblom’s disjoint incrementalism theories for today’s business environment. Although the overall theory of disjointed incrementalism is a “spent intellectual force,” its components, especially the “Big Three” – local search, iterative adaptation, and distributed intelligence – are flourishing. Indeed, Bendor prefers a toolkit approach to decision-making in which incrementalism’s Big Three are vital heuristics — a rule of thumb that cuts a complex problem down to a manageable size. They may not work as an integrated problem-solving technique, but as individual heuristics they work great. 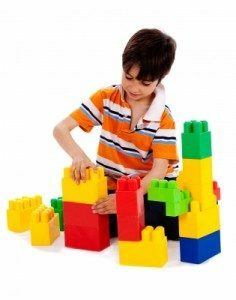 In his analysis of disjointed incrementalism and the synoptic method, Dr. Bendor recommends a decision-making approach that uses basic building blocks, like Duplo blocks, that can be combined in a variety of ways. In other words, he suggests using a mix-and-match of cognitive shortcuts. … Dr. Bendor recommends a decision-making approach that uses basic building blocks, like Duplo blocks, that can be combined in a variety of ways. Carve off part of a big problem and disperse its subcomponents to different groups. “You can have a problem that’s too big for anybody’s mind, but if you break off a piece of it, it’s more manageable,” Bendor says. Evaluating something that’s radically different from the status quo is bound to be fraught with error. Bendor recommends searching in the neighborhood of the status quo. It’s easier to design new alternatives if they are similar to those that already exist. Having many people working independently on the same problem increases the likelihood of success, Bendor says, referring to what Lindblom calls distributed intelligence. It also helps to include people from varied backgrounds. For example, a team wrestling with a big data problem might consider incorporating a visual artist, cognitive scientist, and computer scientist to bring different insights to the problem solving. Find out how other organizations are already dealing with a problem and imitate those who are successful, says Bendor. Business Problem Solving Means Compartmentalizing — Here’s How — When a businessperson has challenges, it can be overwhelming. If you chat with some businesspeople, they believe they have challenges that no one else has. That’s because they haven’t experienced the new challenges before nor have they heard about the problems elsewhere in their industry.